Super Bowl 50 was a memorable game in more ways than one. Not only did commercials for the show garner the highest prices ever, according to data from Kantar Media, the game also broke records for the game's online viewership. According to data from CBS, an average of 1.4 million people streamed the game per minute. In addition, almost 4 million viewers streamed at least some of the coverage, taking in a combined 402 million minutes overall. Moreover, each of these viewers watched an average of 101 minutes via digital streaming. Citing data from NBC, Re/Code reported a peak of 1.3 million streamers for NBC's streaming broadcast of last year's Super Bowl. Overall, it appears as though the number of streaming viewers increased from last year. There are a number of possible reasons for the growth in online views. First, consumers grow more comfortable with OTT viewing each year. Second, CBS made it easy for viewers to stream the Super Bowl this year, by making it available through apps on connected devices such as Xbox One, Apple TV and Roku. Verizon customers were also able to access the game through NFL Mobile. Because the creative advertising is part of the game's big draw, CBS also made sure online viewers wouldn't miss the commercials. This also gave advertisers opportunities to reach the wider audience that makes the high-budget commercials worth the price tag. According to Variety, CBS required advertisers to extend their commercials to the digital audience as well. Last year, NBC offered advertisers a choice of whether or not to broadcast online, and only 18 out of 70 advertisers chose to do so. With the advertisements airing in the same slots for broadcast and digital viewers, there was little difference between the two viewing experiences. Many Super Bowl viewers streamed the game online. In addition, several advertisers used the Super Bowl spotlight as an opportunity to promote their OTT services, further demonstrating how streaming video has become far more than a niche practice. According to Multichannel News, Showtime premiered a spot highlighting its original programming, including Homeland, The Affair, Dexter and Penny Dreadful. CBS also took the opportunity to promote its OTT streaming service, CBS All Access. The growth in OTT Super Bowl viewing demonstrates the dynamic shift in the way people consume media today. Consumers typically opt to view OTT content on their own time, free from commercials. 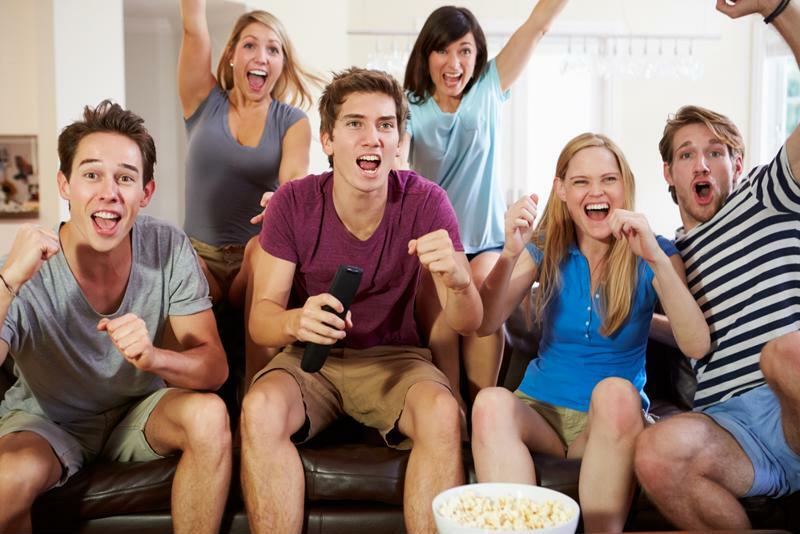 However, the fact that so many viewers tuned in to watch a real-time broadcast of the game using connected devices demonstrates that there's more to streaming on demand than just fitting content into a specific schedule. It's often simply the way people prefer to view content, whether it's a live sports event or a sitcom. Traditional television channels are increasingly branching into the OTT world, offering apps and content that viewers can access through subscription billing services. Many traditional channels are adopting streaming services to remain relevant to consumers who are cutting the cord.